Welcome to a slice of paradise, where the BREAKERS is located, where the powdered-sugar soft sands await you, where you can view spectacular sunsets from the west side of building or while relaxing by the pool and/or getting your feet wet on the beach. 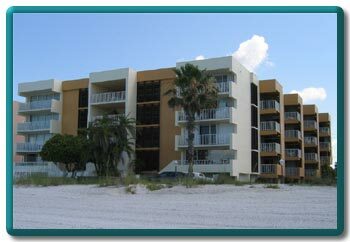 Our recently remodeled, 2 bedroom, 2 bath luxury condominium have both Living room and Master bedrooms opening to a furnished balcony with western exposure to the Gulf of Mexico. It takes just one brilliant orange and fuchsia sunset, the warm gentle blue-green waters of the Gulf of Mexico and miles of white sands for you to choose our small treasure. Our kitchen is completely new with appliances, granite countertops, new cabinets, ceramic tiles and breakfast bar. 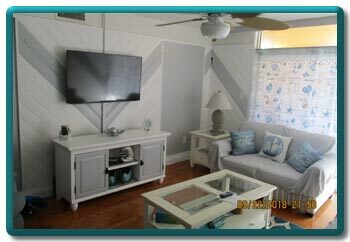 Our living room is spacious and tastefully decorated with a comfortable sofa, loveseat, reading chair, entertainment center (50" smart flat screen TV & DVD). 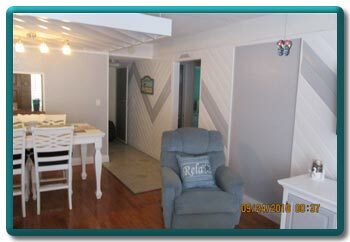 Pergo flooring covers living room and dining area. The master bedroom is nicely decorated. 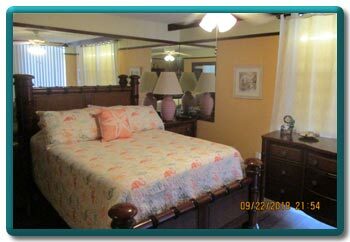 View the Gulf of Mexico from the Queen size bed, or watch the 27" Toshiba TV. The floor is bamboo hardwood. There is a large walk-in closet, a private bath with shower that is beautifully decorated with ceramic tile. 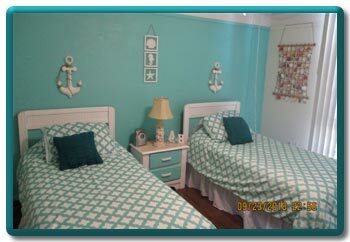 The second bedroom has two twin beds, Pergo floor, large closet and a view east toward the Intra coastal waterway. The second bathroom is beautifully decorated. Granite counter top and ceramic tile say it all. A Jacuzzi with shower is present for your relaxation. We offer a private laundry room with your own washer-dryer. There are ceiling fans in all living areas. There is plenty of parking on north & south side lots. 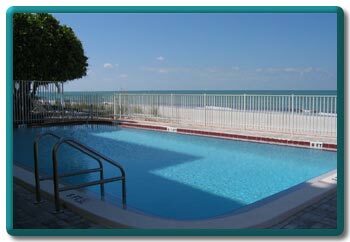 The BREAKERS is located just a short drive north of Treasure Island, John's Pass village, 15 miles from St. Petersburg international airport and 30 miles from Tampa international. Our building is meticulously maintained with a tastefully landscaped atrium in the middle. There are no streets to cross or driving to do, just take our elevator down to the beach. Our heated pool is located on the Gulf front, inches away from the white sands, furnished with shower and beach furniture for your complete relaxation. Catch all the rays you like, listen to the rolling surf of the Gulf, don't miss the various species of tropical birds, go for short or long walks letting your toes sink in the white pristine beaches or just immerse yourself into the warm waters of the Gulf and at the end of the day take home a collection of sea shells. 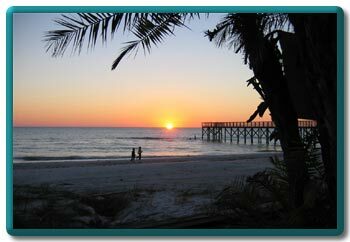 And if this is not enough, visit the Redington fishing pier for great fishing, only a short walk. Get into your car or catch the trolley and go north or south on Gulf Blvd. to find great seafood restaurants, miniature golf, retail shops, convenience stores, water sports, dinner cruises, deep sea charters, boat rentals and much more. Just a little further drive you can find great shopping malls, Sea World, Busch Gardens, Tampa Aquarium, Disney World, Y-Bor city and major sporting events such as football-hockey-baseball-horse racing and greyhound racing. we accept personal checks and money orders..
A Reservation deposit of $700 required,to reserve condo, which will be used as a security deposit. Another $500 is due six months before arrival(only for multiple month stay) Refundable security deposit of $700,within three weeks of departure (minus electrical usage and/or damage) Balance is due 45 days prior to arrival. If a written request for cancellation is made at least 60 days prior to arrival,via U.S. mail, deposit will be refunded. A 13% tourist tax applies along with a $230.00 Cleaning($130.00) /registration fee($100.00). Rates are negotiable. Yearly rates available. Multiple month discount. Max four occupancy. No sub leasing. Rental rates do not include electricity usage(there will be a minimum of $100.00 charge for every 30 day stay,as of Jan 2018.) Call or e-mail owner for further details. Check-in time is 4 pm. Check-out time is 10 am. Note: until confirmed, rates are subject to change without notice. All funds are in U.S. currency. 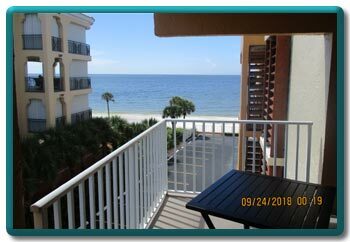 Please note that although our building is Gulf front, we have a partial view of the Gulf from the master bedroom and balcony. GAS GRILL ON PROPERTY. BEACH CHAIRS/UMBRELLA. DEAR GUESTS,ON 01-01-2018 WE WILL REQUIRE A VALID PICTURE I.D. FROM AN ADULT THAT IS RESPONSIBLE FOR BOOKING/PAYMENT.